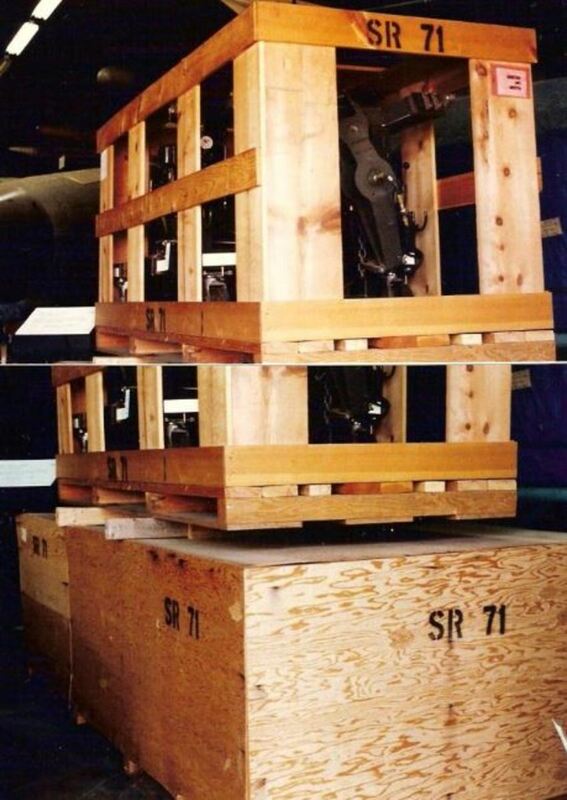 The SR-71 had three features that made it difficult to shoot down. It had a service ceiling of 85,000 feet (25,800 meters). [ii] It had stealth features. It was the first, and for over a decade the only, deployed aircraft to have such features. 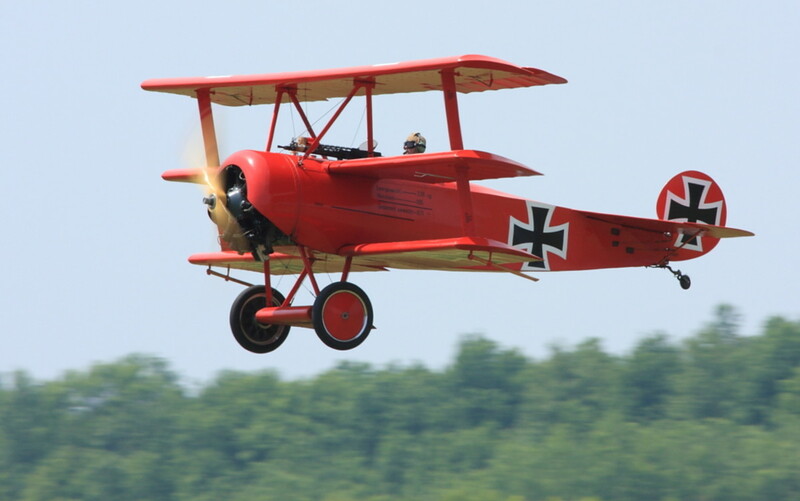 Its speed far outstripped any aircraft in any military inventory. [i] Arsenal of Democracy by Tom Gervasi, © 1977 by Tom Gervasi and Bob Adelman. 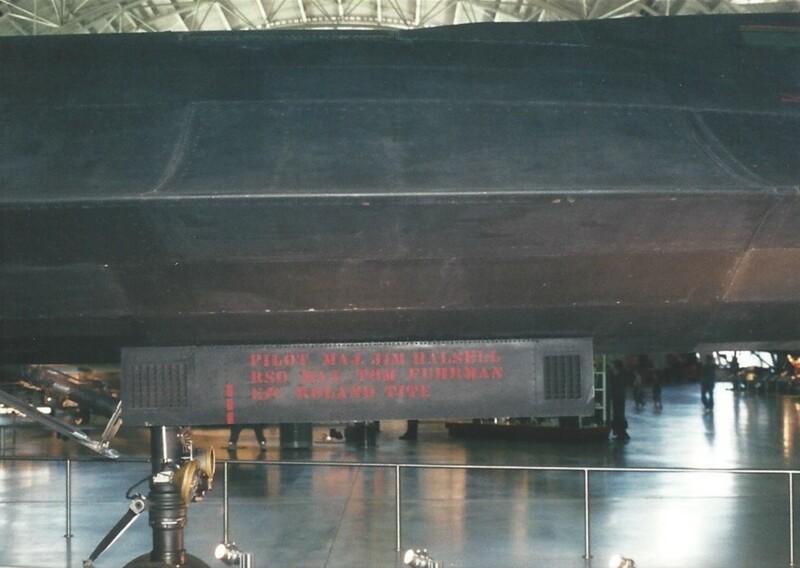 [ii] The Complete Reference to the SR-71, https://www.thesr71blackbird.com/, last accessed 2/16/19. [iii]Arsenal of Democracy by Tom Gervasi, © 1977 by Tom Gervasi and Bob Adelman. 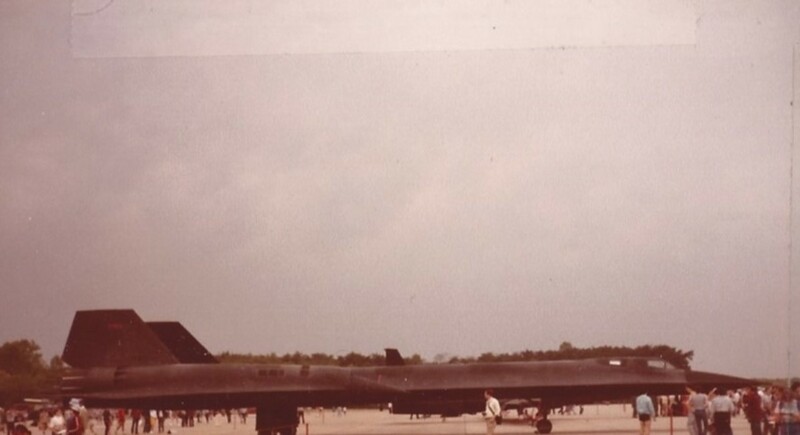 In 1982 the USAF based two SR-71s at Royal Air Force Base Mindenhall for reconnaissance missions of Eastern Europe. 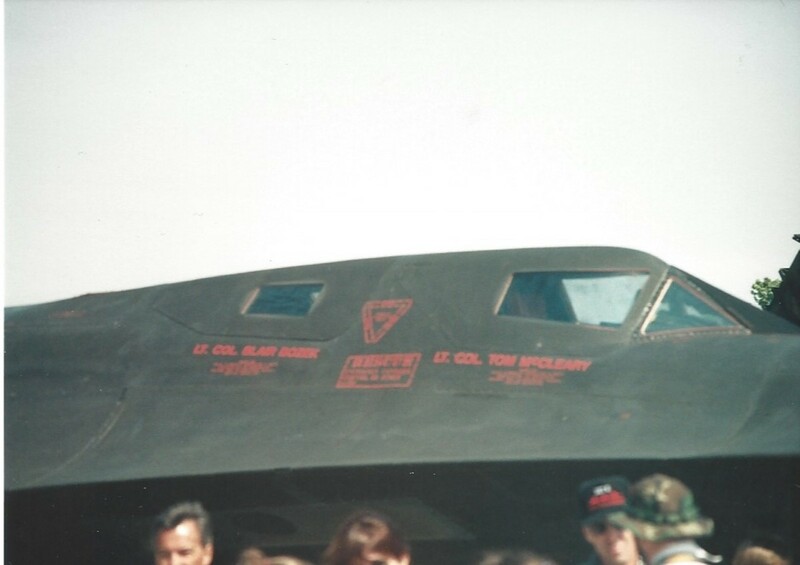 [viii] In one incident peace activists trespassed onto the base and painted a peace symbol on an SR-71. [i] Arsenal of Democracy, by Tom Gervasi, © 1977 by Tom Gervasi and Bob Adelman. [iii] The History Guy: History Deserves to Be Remember, https://www.youtube.com/watch?v=nRyIGTkcmII, last accessed 2/16/2019. 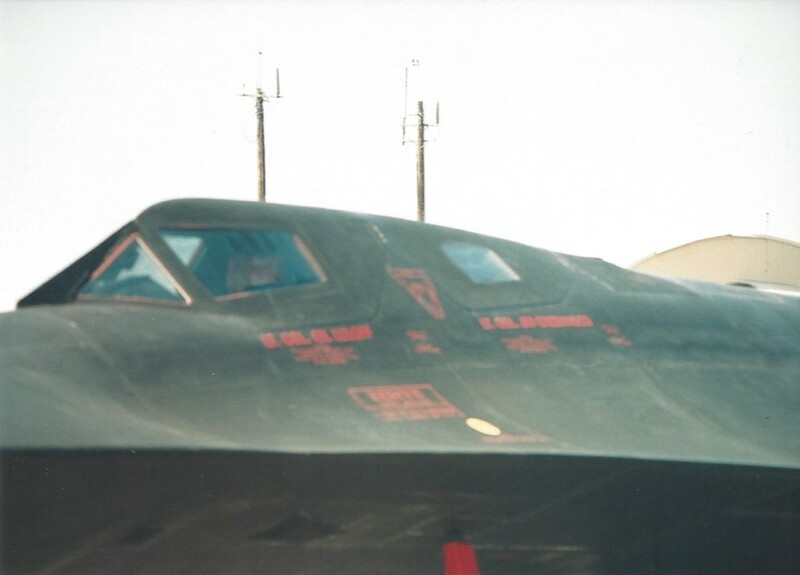 [iv] Was the SR-71 ever shot down? By Samuel Blasius, https://www.quora.com/Was-the-SR-71-ever-shot-down, lst accessed 2/17/19. [v] Five Countries Who Fired Missiles At SR-71 Blackbirds, https://www.youtube.com/watch?v=cOjEeGY4QCM, last accessed 2/17/19. [vi] Five Countries Who Fired Missiles At SR-71 Blackbirds, https://www.youtube.com/watch?v=cOjEeGY4QCM, last accessed 2/17/19. [vii] Five Countries Who Fired Missiles At SR-71 Blackbirds, https://www.youtube.com/watch?v=cOjEeGY4QCM, last accessed 2/17/19. [viii] National Air & Space Museum, Lockheed SR-71 Blackbird, https://airandspace.si.edu/collection-objects/lockheed-sr-71-blackbird, last accessed 2/17/19. [ix] That Time A Crippled SR-71 Blackbird In Emergency Was Intercepted By Four Swedish Viggens After Violating Sweden’s Airspace, by David Cenciotti, https://www.thesr71blackbird.com/Aircraft/Stories/that-time-a-crippled-sr-71-blackbird-in-emergency-was-intercepted-by-four-swedish-viggens-after-violating-swedens-airspace, accessed 2/17/19. 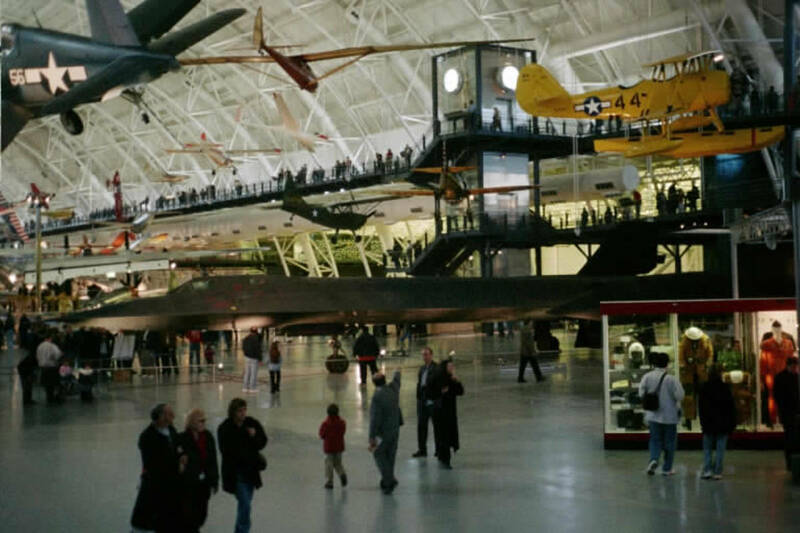 [x] National Air & Space Museum, Lockheed SR-71 Blackbird, https://airandspace.si.edu/collection-objects/lockheed-sr-71-blackbird, last accessed 2/20/19. 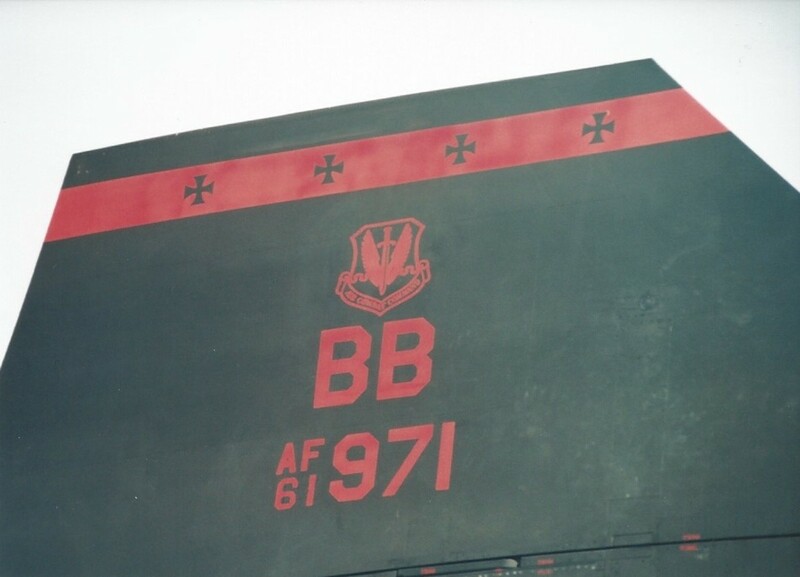 [xi] SR-71.org, Blackbird Losses, https://www.sr-71.org/blackbird/losses.php, last accessed 2/17/2019. 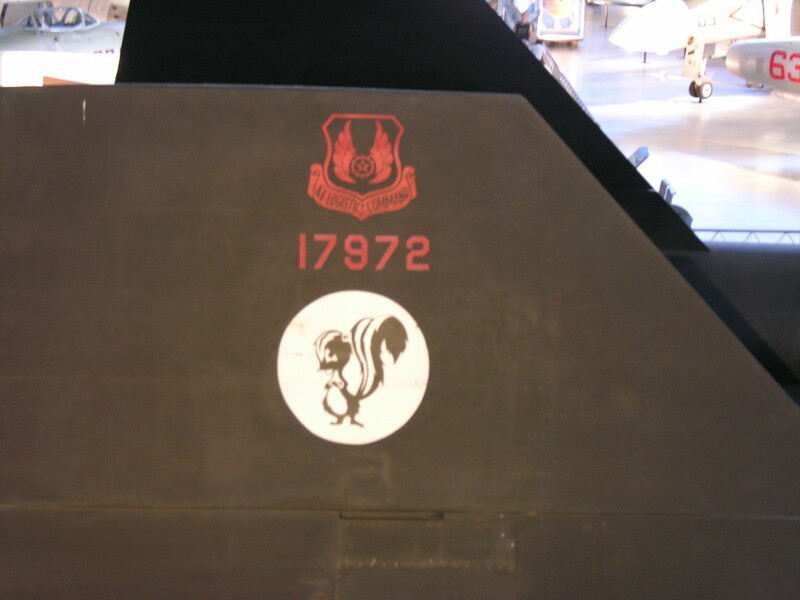 There were 8 losses of SR-71 predecessors, A-12, YF-12, & M-21. 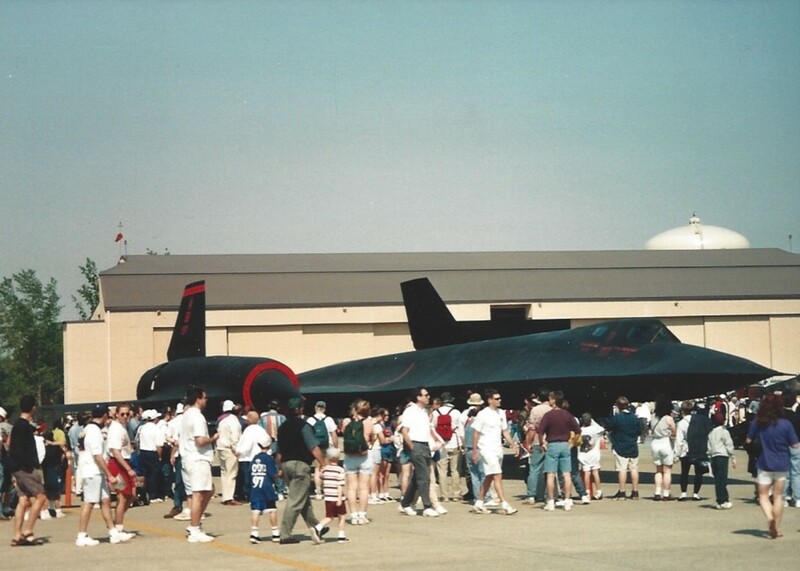 [xii] Blackbird Roars Out of Extinction, by Don Jergler, The Antelope Valley Press, August 17, 1999, https://www.thesr71blackbird.com/Aircraft/History/blackbird-roars-out-of-extinction, last accessed 2/17/19. 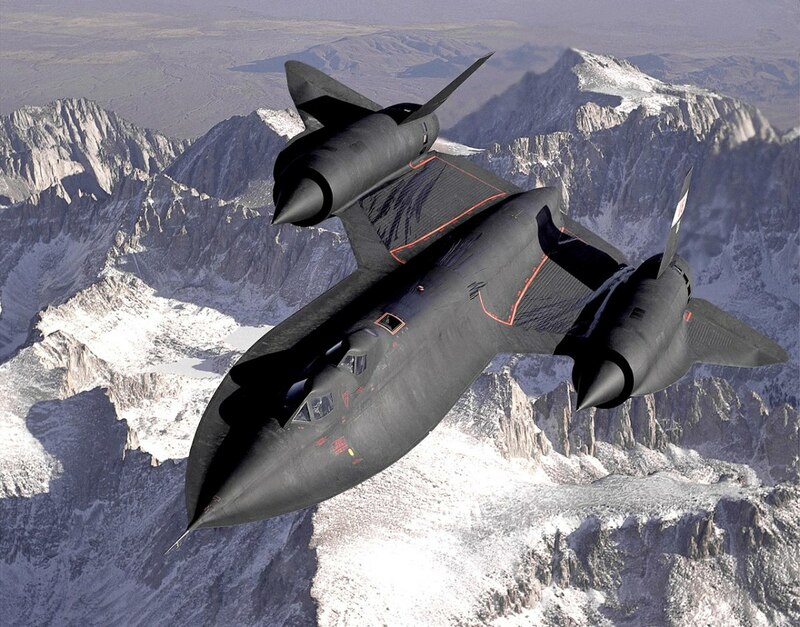 [xiii] NASA web site, NASA Armstrong Fact Sheet: SR-71 Blackbird, https://www.nasa.gov/centers/armstrong/news/FactSheets/FS-030-DFRC.html, last accessed 2/20/19. 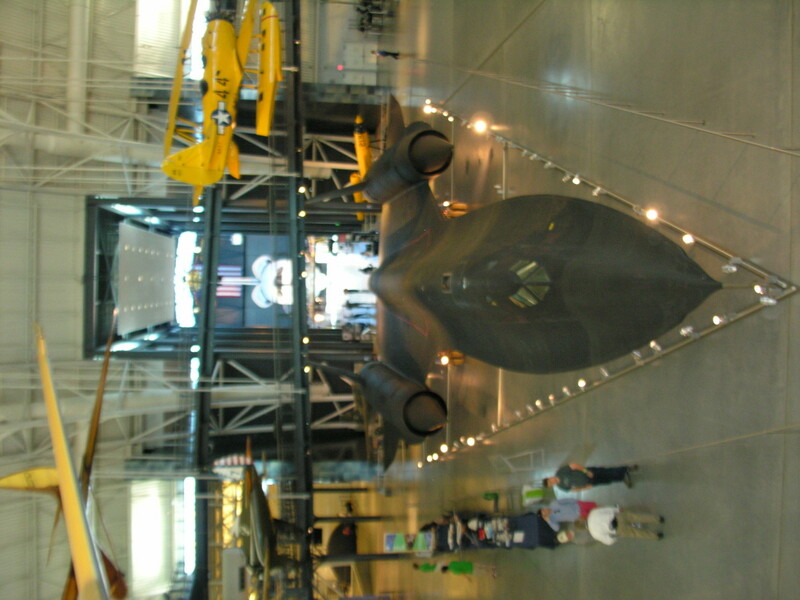 [xiv] National Air & Space Museum, Lockheed SR-71 Blackbird, https://airandspace.si.edu/collection-objects/lockheed-sr-71-blackbird, last accessed 2/20/19. [i] US Military’s Hypersonic Jet Could Fly 5 Times the Speed of Sound, by Elizabeth Howell, June 30, 2015, https://www.livescience.com/51388-hypersonic-jet-could-fly-mach-5.html, last accessed 2/24/19. [ii] This episode was loosely based on a 1948 incident. The television series was set in the 1960s so some U.F.O. incidents were changed to fit the period’s setting. Hi, Robert, not at all. Hi, I agreed, and thanks. Yes, it was a fantastic aircraft. Thanks for the interesting bits of information here about the 'Blackbird' she was a great plane. Hi, Roberts, you are welcomed. Thanks. Thank you for reading and commenting. The SR-71 was a fascinating aircraft. Wow, this is such an informative article and an excellent resource! Thank you! No, the only commercial jetliners I've done are the 707 & 747. The results of the crash investigation will take a few months. Boeing is doing upgrades in response the Lion Air crash. In light of the recent Ethiopian air disaster, I was looking to see if you had done an article on the 737 Max and it’s history. You are the go to resource! Roberts, it is well appreciated. Enjoy the day. Thank you for reading and commenting. I'm glad you enjoy my articles. Hello, Roberts, I love the military. While growing up as a boy, I tried to enlist in the army but age limitation is against me to enter the elite corp. So I went to work in the civil service as an Administrative Officer. Because of all this, my interest in reading military stories is without a frontier. 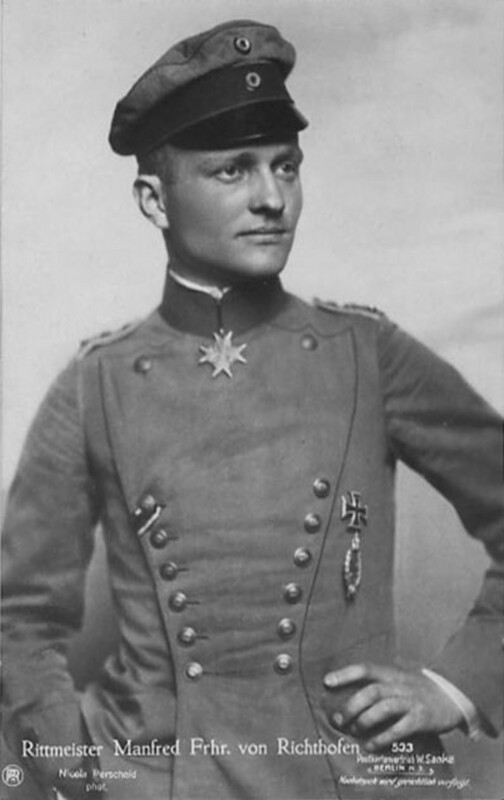 In the University, I was very, very fascinated about military history and warfare. I will continue to lose my mind on your stories. Have a nice day. Thank you for reading and commenting. Even today the SR-71 has lines that make it look futuristic. Although out of service, I thought this plane looked kind of familiar. Your film references explain why. This is another thorough and well-researched hub. Thank you both for reading, commenting, and suggesting. The Spitfire was an excellent fighter in its day. Flying in a Spitfire had to be a thrilling experience. 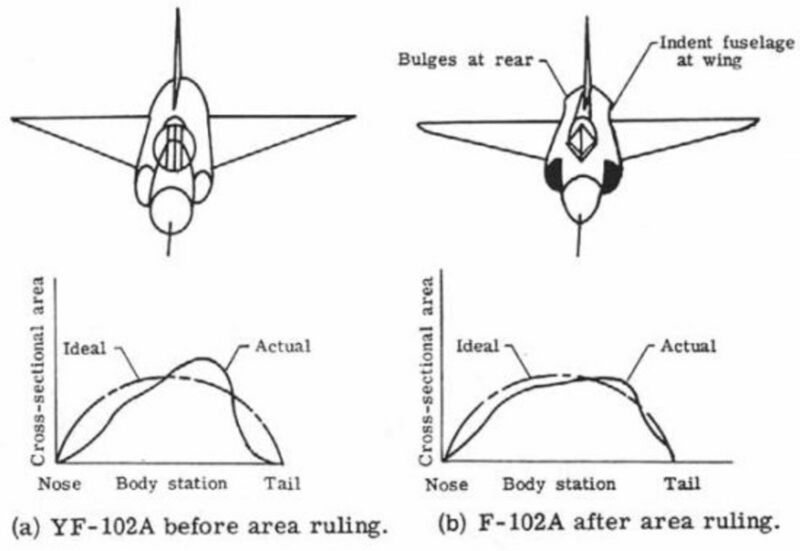 I love reading about planes. My mother was in the RAF and actually flew in a Spitfire. Amazing speed, and wonderful craft. You might consider submitting the article to The Blackbird Society so they can publish a link on their website since your article is so relevant and detailed. They should appreciate it. The planes unbelievable performance overshadowed the aircraft's durability and survivability. 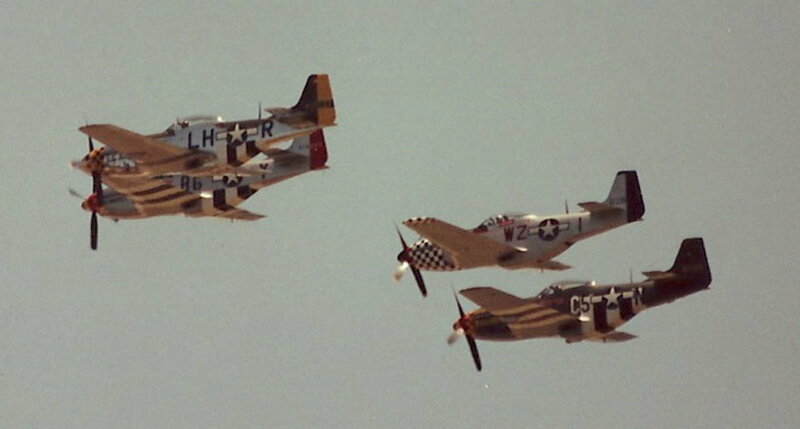 These are great testaments to Clarence “Kelly” Johnson and his Skunk Works team. The speed of the SR-71 is mind-boggling! The fact of the paint job on that aircraft being able to absorb radar energy is also fascinating. I agree with Pamela in that so many of the people engaged in flying these airplanes were able to those mishaps. This is such an interesting article and I learned so much about this amazing. Being able to outrun missles is fantastic! The speed and height that this plane achieved is great. I am glad so many survived the malfunctions and bailed out. Thank you for reading and commenting. 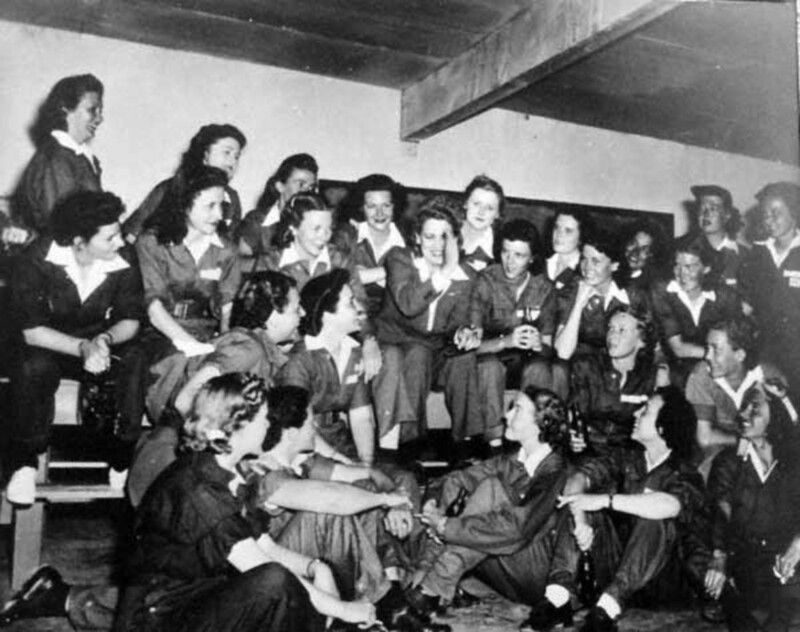 The air crews, and ground crews, probably have some kind of connection. There is The Blackbird Society. Their website is blackbirdsociety.org. You have quite a niche here. The speed and resultant heat are amazing. Given its elite status and the fact that it is now retired, do former pilots of this aircraft have some kind of special recognition or ongoing connection with one another? Thank you for reading and commenting. 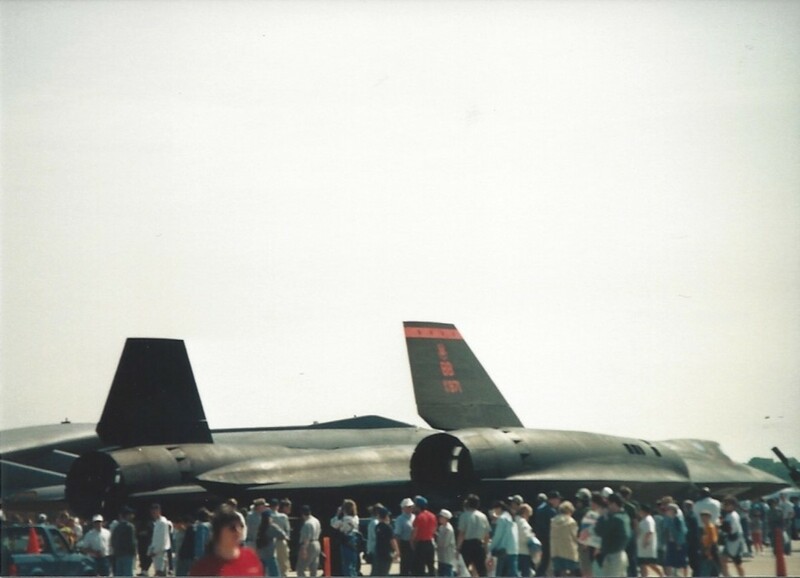 Yes, the SR-71 had a large following. 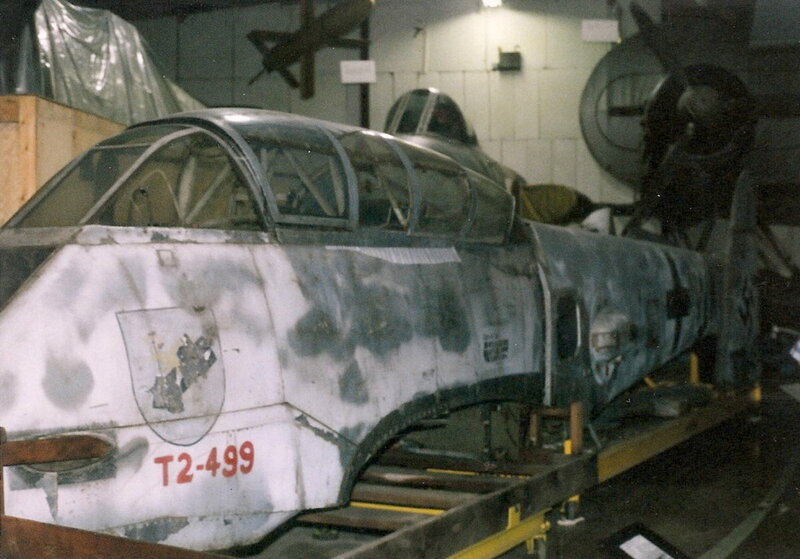 It was a marvelous aircraft. 8 weeks ago from Port Harcourt, Rivers State, NIGERIA. Hello, Roberts, this is an interesting and awesome article. It is a food for many airforce and marine personnel. Thanks for sharing with the reading public.